TONE Shear Wrenches are specifically designed to be used with Tension Control Twist Off Bolts. A Tension Control Bolt is a system consisting of 1 bolt, 1 nut and 1 washer, pre-assembled for delivery to the user. TC Bolts or Twist Off Bolts feature a built in tension control device (spline portion at the threaded end of the bolt). The nut and washer are removed from the bolt, then the bolt is inserted into the structure, and the washer and nut are repositioned on the bolt and finger-tightened. Final installation is accomplished with specialized TONE Electric Shear Wrench Tools. The tool does all the work. As the outer socket rotates clockwise tightening the nut, the inner portion of the tool grips the spline at the end of the bolt to keep the bolt from turning, and to provide the reaction torque. (The operator is not using his strength to tighten the nut.) As the nut tightens, the torque inside the tool increases until it reaches the designed shear strength, and the end of the bolt shears (twists) off. Clamping loads are correct, inspectable, and repeatable. Tension Control Bolts, TC Bolts or Twist Off Bolts are now the most popular choice in high-strength structural bolting and formally recognized by the AISC (American Institute of Steel Construction) and the RCSC (Research Council on Structural Connections) as an approved installation method. TONE offers a wide range of shear wrenches to accommodate all tightening applications and is a leading company in the global shear wrench market. S80EZ01-02 TONE 3/4'' Standard Length Inner and Outer 2 Piece Socket Set designed for use on TONE GS-241EZ Electric Shear Wrench. S80EZ03-04 TONE 7/8'' Standard Length Inner and Outer 2 Piece Socket Set designed for use on TONE GS-241EZ Electric Shear Wrench. S80EZ05-06 TONE 1'' Standard Length Inner and Outer 2 Piece Socket Set designed for use on TONE GS-241EZ Electric Shear Wrench. TONE TC1701BU Tool Cart features a flat shelf for easy load/unload of heavy items and a protective mat to protect against scratches. TONE Tool Cart also features 2 drawers w/ a lock mechanism that prevents the drawers from coming out when moving the cart. The GHC-241EZ TONE Electric Shear Wrench is one of thousands of quality tooling products available from MRO Tools. 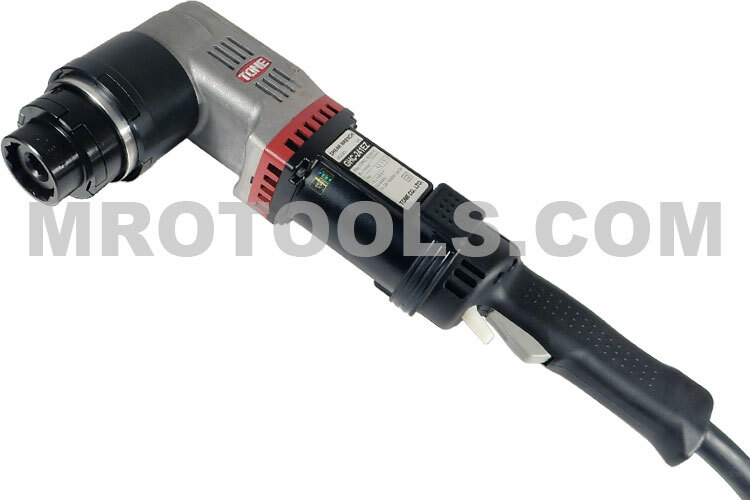 Please browse TONE Electric Shear Wrenches for tools similar to the GHC-241EZ TONE Electric Shear Wrench. 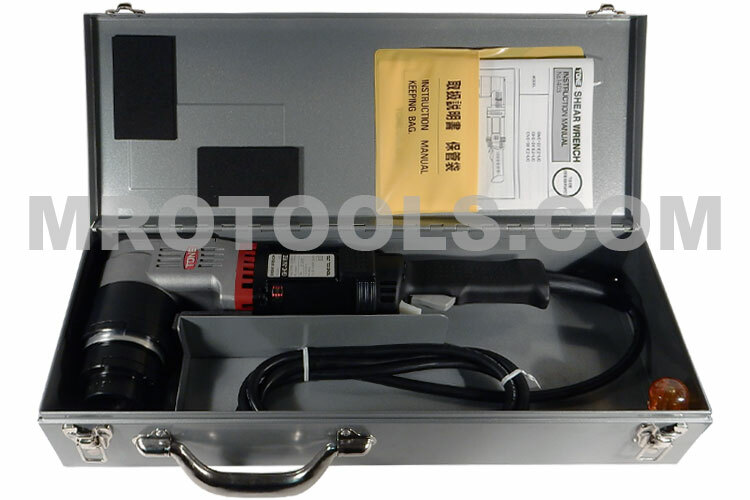 GHC-241EZ TONE Electric Shear Wrench description summary: GHC-241EZ TONE Electric Shear Wrench Frequency: 50-60Hz Voltage: 115V Max Current: 14.5A Rated Power: 1650W Max Torque: 1250 N.m No-Load Speed: 11rpm Sound Pressure Level: 86dB(A) Acoustic Power Level: 97dB(A) Inner & Outer Socket: 7/8'' Quantity discounts may be available for the GHC-241EZ TONE Electric Shear Wrench. Please contact MRO Tools for details.